[excerpt from] Question #21: Believest thou the scriptures? It’s interesting that Jacob asked, “Do you believe the scriptures?” rather than “Do you believe in the scriptures?” . 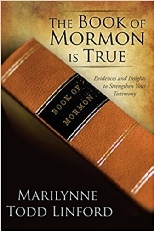 . .
A person might say, “I believe in the Book of Mormon.” But do we really believe the Book of Mormon and recognize that its promises are real for us? When we read the account of Alma praying for strength and then being strengthened by the Lord (Alma 31:31-38), do we say, “I believe in that account. I believe that Alma was a real person and this happened to him”? Or do we say, “I believe that I can pray for strength and the Lord will strengthen me”? 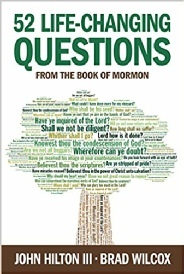 The authors have selected 52 of the 543 questions asked in the Book of Mormon, to thoughtfully consider and apply to our lives. Some of the questions we may easily recognize as worthy of pondering. 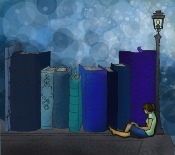 Others we may have considered rhetorical, and brushed over them. Each question is carefully considered, often illustrated with anecdotes and other scriptural references. 11. And I said unto him, Then ye do not understand them, for they truly testify of Christ. Behold, I say unto you that none of the prophets have written, nor prophesied, save they have spoken concerning this Christ. 12. And this is not all -- it has been made manifest unto me, for I have heard and seen; and it also has been made manifest unto me by the power of the Holy Ghost; wherefore, I know if there should be no atonement made all mankind must be lost. 14. And I said unto him: What am I that I should tempt God to show unto thee a sign in the thing which thou knowest to be true?Yet thou wilt deny it, because thou art of the devil. Nevertheless, not my will be done; but if God shall smite thee, let that be a sign unto thee that he has power, both in heaven and in earth; and also, that Christ shall come. And thy will, O Lord, be done, and not mine.